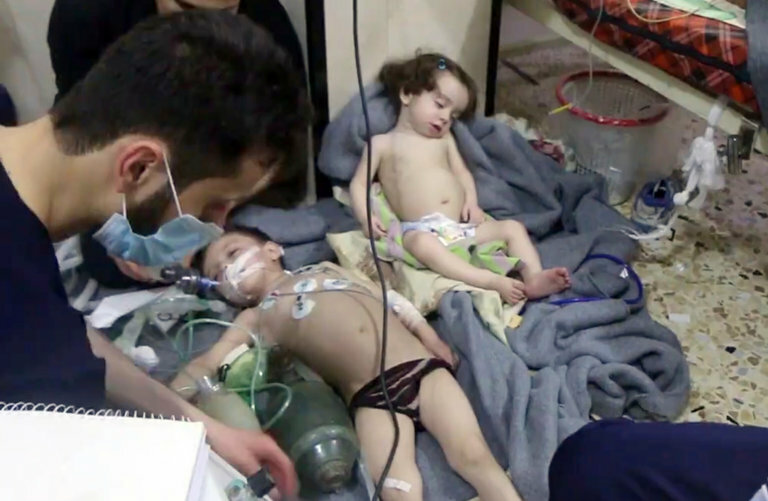 Children being treated by Syrian Civil Defense White Helmets after chemical attack. Photo courtesy of Associated Press. The United Nations Convention on the Rights of the Child is an international agreement which lays out the social, economic, cultural, civil, and political rights of children everywhere. Since its adoption in 1989, the Convention has been signed by 194 countries. But its interpretation and adherence vary widely across the globe. Under the Convention, every child – boy or girl – has the right to life and survival; to protection against violence, abuse, and neglect; and to an education. You covered me in my mother’s womb” (Ps. 139: 13). The American Convention on Human Rights declares human life as beginning at conception. Abortion is, however, legal for some 60% of the world’s population. Beauty shines through you of Yahweh’s grace and mercy! Isaiah 60 – 61.
in touching lives. Abba’s heart of compassion and hope Anna through you is wonderful! In reading all you share, in multitude of ways, I too identify with the causes and passionate views expressed by you from Yah’s perspective. Truly, Anna you’re making a Kingdom difference on earth! “Dreams of Glory” increasing others, is His work! Righteousness imaged by restoring Divine Justice, amen! “Rivers of His Glory” ministry the The Most High has granted me. At a prior time I represented a Christian attorney running for D.A. As a vessel of honor, our Lord and I commend your labor of love Anna reflecting His glory. I also praise Abba, for His obedient servant, a “blind-man,” who 39 yrs. ago, shared faith in Yeshua leading me into salvation life. Cheering you on Dear Anna! Wanting to partner in some way together with you. Thank you Dennis for your your testimony of faith. I am happy you enjoyed Anna’s work, as I did not write this article. Please visit her blog by clicking the blue link at the top of the post.